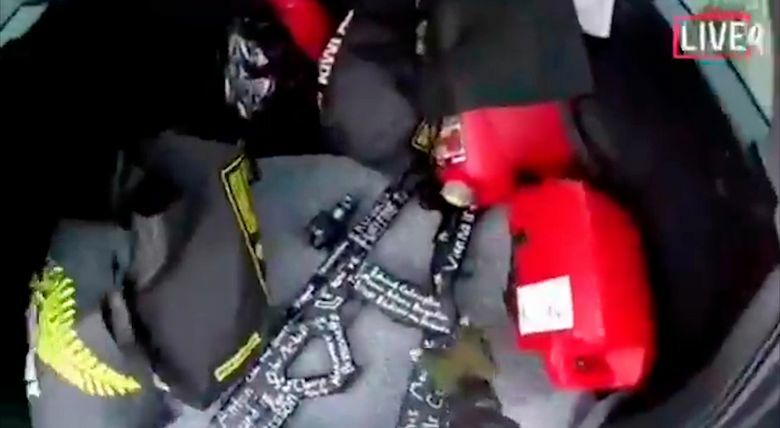 CHRISTCHURCH, New Zealand (AP) — Only a week after attacks on two mosques in New Zealand killed 50 worshippers, the country has banned sales of “military-style” semi-automatic weapons and high-capacity magazines. In the world of politics, it’s a lightning fast response, especially when compared to the deeply contentious, long-running gun control debate in the United States. The suddenness of Thursday’s ban, which came as the dead were being buried, has raised many questions, especially for those not familiar with firearms. Ardern said a sales ban was effective immediately to prevent stockpiling and would be followed by a complete ban on the weapons after new laws are rushed through. The ban includes any “military-style” semi-automatic guns or shotguns that are capable of being used with a detachable magazine that holds more than five rounds. It also extends to accessories, such as bump stocks, used to convert guns into what the government called “military-style” weapons. Military-style semi-automatics have been defined under New Zealand law as rifles with magazines exceeding seven shots, or with pistol grips, folding or telescopic butts, bayonet attachments or flash suppressors at the end of the barrel. Many different types of firearms, from pistols to rifles and shotguns, can be semi-automatic. Semi-automatic refers to a firearm’s ability to self-load, not only firing a bullet with each trigger pull, but also reloading and making the firearm capable of firing again. The ban does not include semi-automatic .22 caliber or smaller guns that hold up to 10 rounds or semi-automatic and pump-action shotguns with non-detachable magazines that hold up to five rounds. The guns not banned are commonly used by farmers and hunters. Caliber is the measurement of the diameter of the inside of a gun barrel. A higher caliber firearm uses larger rounds that can do more tissue damage and are more lethal. The government said the police and military would be exempt, as would businesses carrying out professional pest control. Access for international shooting competitions would also be considered. WHAT HAPPENS TO BANNED GUNS? Ardern said people could hand over their guns under an amnesty while officials develop a formal buyback scheme, which could cost up to 200 million New Zealand dollars ($140 million). 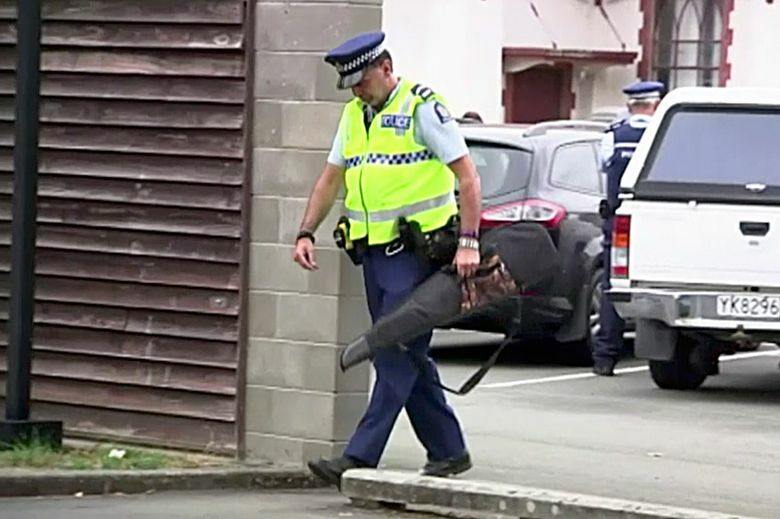 New Zealand police said on their website that the “transitional period” would allow people to arrange to hand over their unlawful firearms to police without penalties. It encouraged people to fill out an online form and said after that police would be in touch to make arrangements. “For other dealers, sales should essentially now cease. My expectation is that these weapons will now be returned to your suppliers and never enter into the New Zealand market again,” she said. HOW MANY GUNS ARE AFFECTED? Sydney University gun policy expert Philip Alpers estimated that only 6 percent of all weapons in New Zealand were registered. DO NEW ZEALANDERS SUPPORT IT? The ban is widely supported and puts New Zealand “almost exactly in line” with Australia, the United Kingdom and “somewhat with Canada,” according to Professor Kevin Clements, chairman of Peace and Conflicts studies at the University of Otago and a firearms expert. The company said it would no longer stock any assault-style firearms of any category and would also stop selling firearms online. “What (Ardern’s) done is a very brave move, and it’s the kind of move that can only be done in a common-law country where guns are not a right. Guns are a real privilege. If there was a legal right like there is in the United States, this would be much more difficult,” said International law Professor Alexander Gillespie of Waikato University. Alpers noted that New Zealand, although it requires handgun registration, “is still the only country apart from the United States and to some degree Canada that doesn’t have (firearm) registration as its third pillar of gun control” along with licensing and treating possession as a conditional privilege. Alpers said rifles and shotguns aren’t registered in the country. Klug reported from Seoul, South Korea. Associated Press writers Rod McGuirk in Canberra, Australia, and Kim Tong-hyung in Seoul contributed to this report.